Ben is one of our original West Country contingent, having been born and raised in West Devon on the edge of Dartmoor. He began his agency career in 2010 and has worked in both Devon and Cornwall in selling and auctioning lovely town, country and seaside properties. Attracted to the bright lights (big city) of Bristol in 2015, Ben quickly accustomed himself to the faster pace of city agency, and we were lucky enough to have him join us in 2017. 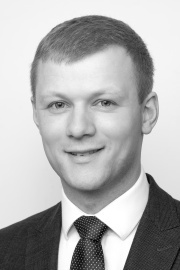 Ben has thrown himself into his role with relish, and his knowledge and experience of a variety of property markets has made him a valuable member of our team. That and his sense of humour – his impressions are hilarious!! When you can't see Ben in the office, you can either find him in his kitchen baking bread (Paul Hollywood eat your heart out! ), on a (mammoth!) cycling trip around Europe, in a tent somewhere in Devon, or on a board surfing some Cornish waves. Oh, et son francais est tres bon aussi.